The term ‘entrepreneur’ is used to describe individuals who take risks to turn innovative ideas into profitable businesses. While the term is gender-neutral, it has been reserved for men for the longest time, as it is only in the last century or so that the idea of women leading or even existing in the business world has become acceptable. Women have participated in innovation and commerce since time immemorial- often as a way of supplementing the household income- and their ventures have finally been recognized as entrepreneurial in the 20th century. Societies all over the world have slowly witnessed the emergence of powerful female entrepreneurs, who have made a name for themselves in technical, scientific, healthcare, social and professional spheres. Female entrepreneurship has come a long way from the times when women were only permitted to manage alehouses and taverns. Developments such as the boom of the textile industry and the invention of the railroad and telegraph systems, and even the dire need for workers during the Second World War, have contributed to the progress of society, opening up avenues for women to organise themselves and emerge as more independent individuals. Women, today, are leading the traditionally masculine arenas of wholesale, retail trade, and manufacturing. Beth Comstock, CEO of GE Business Innovations and Elizabeth Holmes, founder of blood testing company Theranos, have proved beyond doubt that women are capable of matching the success of their male counterparts in the world of entrepreneurship. Closer home, Indra Nooyi, CEO of PepsiCo, and Naina Lal Kidwai,Country Head of HSBC India, have been inspirations for young girls in every part of the country. 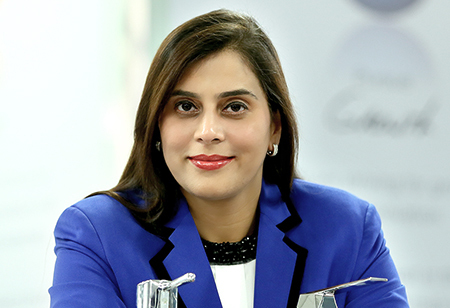 In the world of beauty and personal care, Shahnaz Hussain, CEO, Shahnaz Herbals Inc and Vandana Luthra, Founder and Vice Chairperson of the immensely successful VLCC Healthcare have revolutionised the way the industry works and have established themselves as successful heads of diverse businesses. Entrepreneurship by women has been subjected to both countless challenges as well as constructive support. On an individual level, a businesswoman is faced with many hurdles, beginning with the fact that the average woman anywhere in the world has lower personal financial assets and less control over capital than men. Women have struggled and emerged victorious as strong organisers, employers and leaders. The Indian government has provided encouragement to women entrepreneurs in the form of schemes like ‘Stand up India ‘which facilitates loans from Rs 10 lakh to Rs one crore for women and members of the Scheduled Castes and Tribes. The Women and Child Development Ministry has also launched the website ‘Mahile-E-Haat’ as a portal where women can sell their products without having to pay any registration fee. Meanwhile, a number of NGOs have taken the initiative of providing women in rural and urban India with free training and advice for business ventures. Women entrepreneurs have also overcome hurdles to acquiring funds through micro-financing and platforms. In India, women comprise about 30 percent of corporate senior management positions, which is higher than the global average of 24 percent. However, India is at a rank of 113th in terms of the gender gap in the overall workforce (according to Forbes India). Another fact which signals scope for improvement is that only 10 percent of the total entrepreneurs in the country are women. Female entrepreneurs can also collectively introspect about whether the entrepreneurial sphere they choose has an effect on the future of women’s participation in business. We do have significant examples in India where women have successfully led organizations that deal with sanitary fittings, banking or biotechnology to their current market leadership positions. Such a foray opens up newer avenues for the next generation of women entrepreneurs and also helps break stereotypes that tend to look even at business verticals and industries in gender-specific ways. Similarly, one can also ponder over the conjectures of leading thinkers such as Gloria Steinem who have suggested that women’s collectives are inherently capable of distributing work in horizontal and team-based formats as opposed to hierarchical ones. Female entrepreneurship needs to be of, for and by women. And of course, the long-term goal is for entrepreneurship to become so devoid of biases that there is no need for a special category like ‘women entrepreneurship’. To conclude, women entrepreneurs are crucial for the economic and emotional well-being of families, communities and nations at large. Indian women have struggled against circumstances and mind-sets to make great strides in the world of entrepreneurship, but still have a lot more obstacles to counter. With support from the government and the industry, equal opportunities for innovation should soon be a reality in our country and excitement about the seldom-seen woman CEO should become a thing of the past.